The choice whether or not to breastfeed is an extremely personal one and sometimes, your baby doesn’t care where you’re at when he/she wants to eat. It’s not like they have a built-in timer to keep track of mealtime (though, that would be helpful in planning outings)! Such is the case with California mom of two, Danielle Solito when she, her husband, and two girls went on a family trip to Target for a birthday shopping spree for their eldest. The 15-month-old wanted to nurse then and there (of course!) so what’s a mother to do? Feed her child, obviously! Not to mention, husband Jason was behind the wheel to push the mom and baby around and we’re all applauding! Facebook group Breastfeeding Mama Talk shared this beautiful photo on October 2nd, and already it has over 13,000 likes. You can see it here. The post reads, "How daddies can be part of the feeding process if their baby is breastfed... "When you've been in the target toy section for 45 minutes with your 10 year old birthday girl and the 15 month old wants to nurse you take their seat and nurse her while the hubs pushes you around "
The post unfortunately does have some parents criticizing the mom for breastfeeding her child in a public place, but Breastfeeding Mama Talk’s response is perfect. The Facebook page eloquently wrote, "Despite the fact it grinds my gears when people come on a breastfeeding support page to spew negativity about a breastfeeding mom the breastfeeding advocate and educator in me has the need to turn it into a teaching moment. So some good did come from some of the nonsense that was spewed last night on this post and inspired this post. Please feel free to like, comment, & share to bring awareness to the ignorant arguments against breastfeeding." 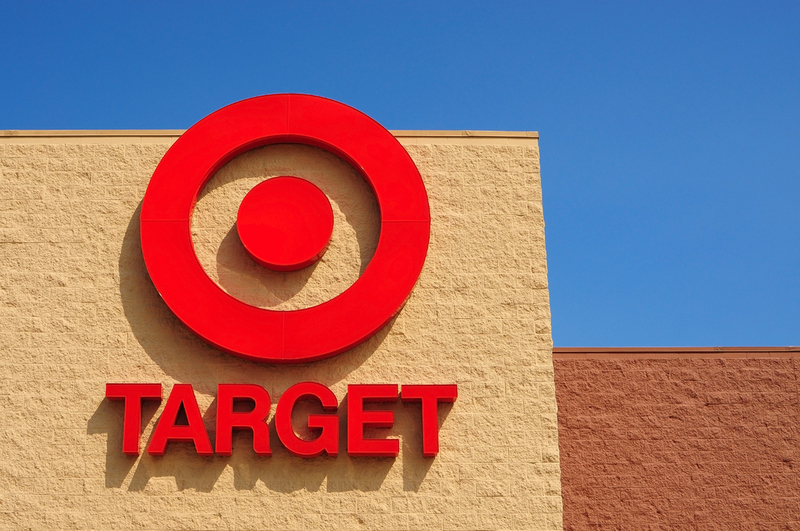 There are far too many instances of mothers being publicly shamed so we’re glad to hear Target holds a positive stance with breastfeeding moms and supporters. This mom and dad deserve all the kudos for powering through the trip despite (what could have been) a setback. It is, after all, about what’s in the best interest of the children, whether you choose bottle or breast, and we think these two totally rocked it!